3-night short break 30th March - 2 April £165. 20-27 April - £423. "What a fantastic place! Brilliantly clean and cosy. Perfectly located to explore the mountains and the coast." "Our 5th year running at our favourite cottage. The views never fail to impress." 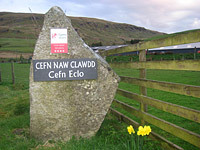 Content is copyright Stabal Holiday Cottage, Snowdonia, Wales.